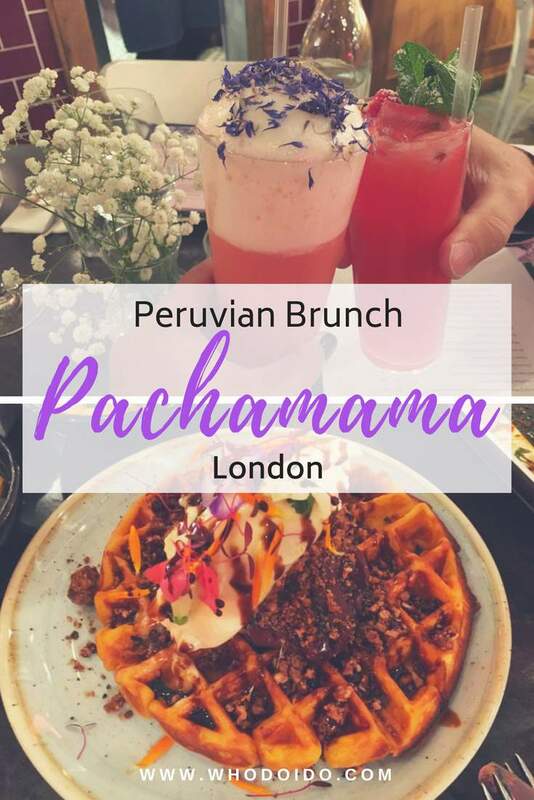 A Peruvian brunch at Pachamama? Let’s go. 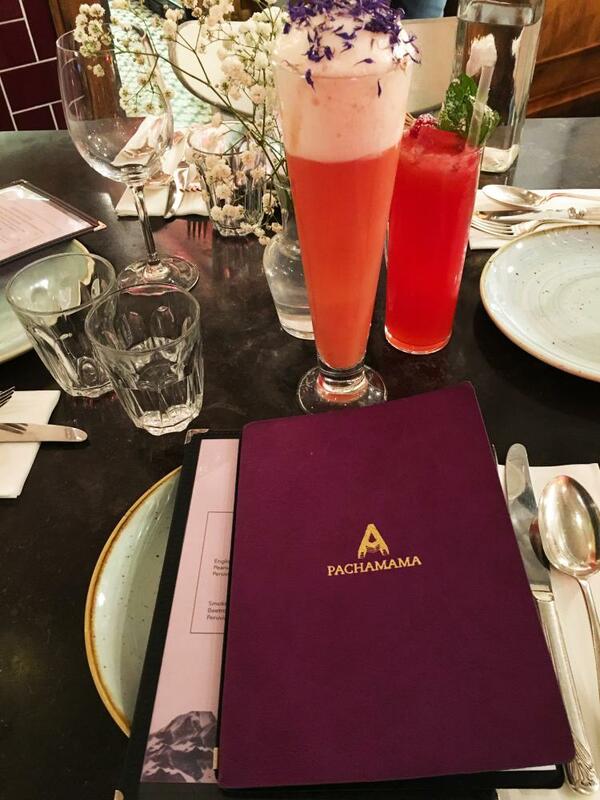 Pachamama was pretty easy to find being located in Marylebone and with the nearest tube station at Bond Street. We headed downstairs to the restaurant, welcomed by the friendly staff and led to a table by the bar. 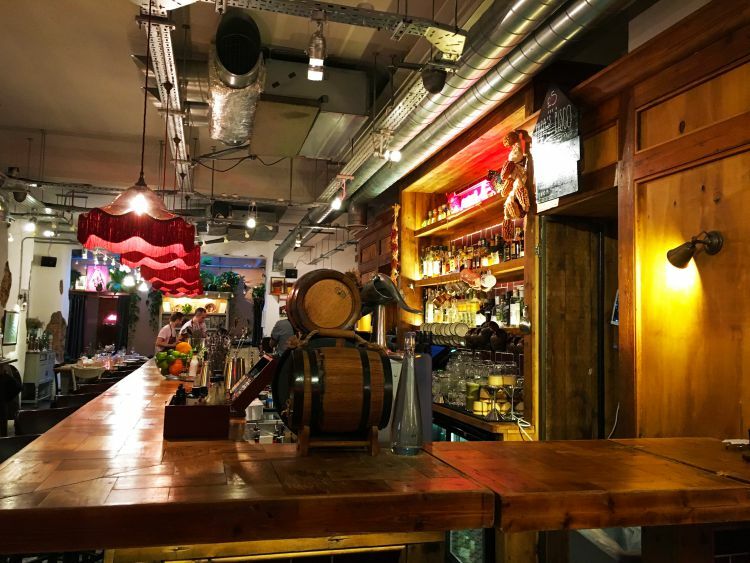 Pachamama is a warm, cosy, kinda homely restaurant, furnished simply with a mish mash of coloured wooden chairs and reclaimed vintage items offering up a relaxed and laid back ambience. With an open kitchen to the right as you enter, there’s a bar on the left and the restaurant stretches quite far back with the tables set quiet close together. We had a party of 6 close to our table and there didn’t seem to be much maneuverability for the staff – my pet hate is the constant brushing of everyone when walking past our table. 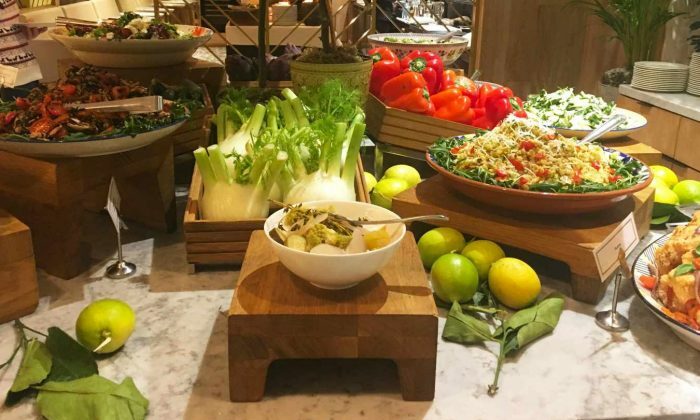 The restaurant serves Peruvian inspired food made from the freshest ingredients sourced from the UK. 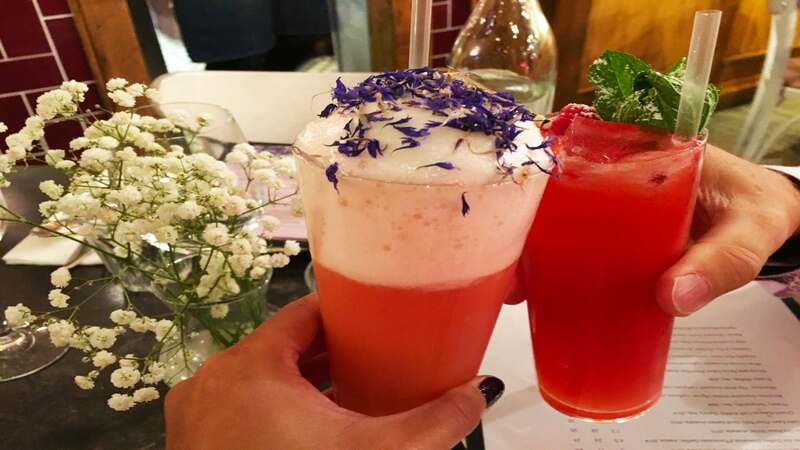 Cocktails were ordered from the ‘Mama’s Cocktails’ list; Ian chose the sweet and fruity Pachamama whilst I had the prettiest cocktail, Miraflores 😉 Sipping happily on our well chosen cocktails, we continued to browse the brunch menu. 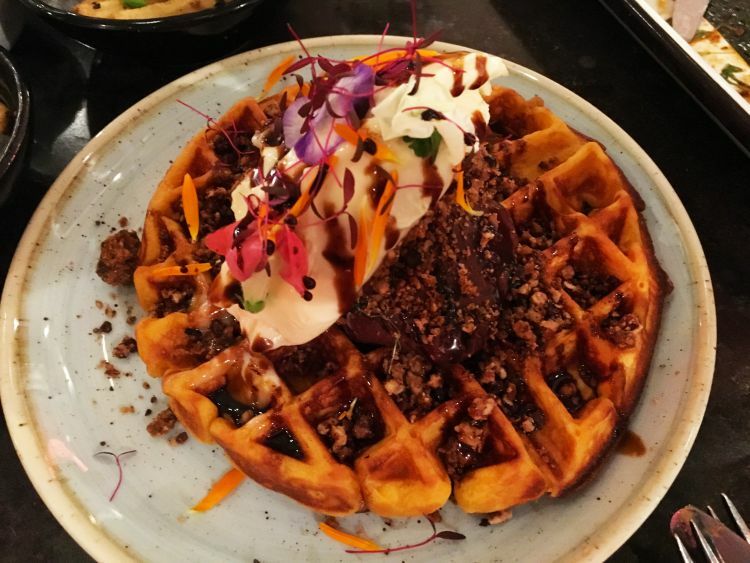 The selection was extensive offering sweet and savoury waffles, side dishes, snacks and Pachamama’s signature dishes. It would be rude not to order a few items from each section … right?? The waffles were gluten-free and you could choose from either sweet potato or quinoa. Of course, we tried both types of waffle. 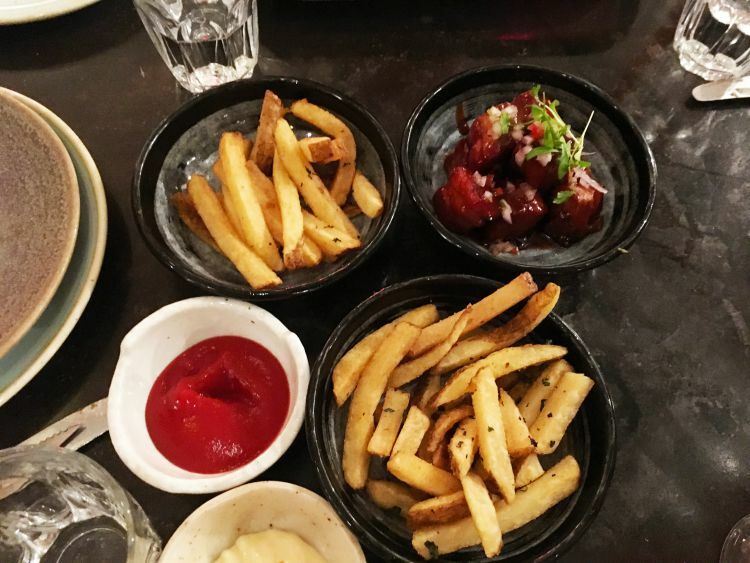 We were told, when ordering, that the food would arrive when it’s ready – which we thought was pretty obvious – however, both of Ian’s dishes arrived at the same time ?? and I was left sitting there with no food! They didn’t quite explain that ‘ready’ meant ‘any of the dishes in any order’ … which was really annoying and meant Ian had to send one of the dishes back as it was cold by the time he was ready to eat it. 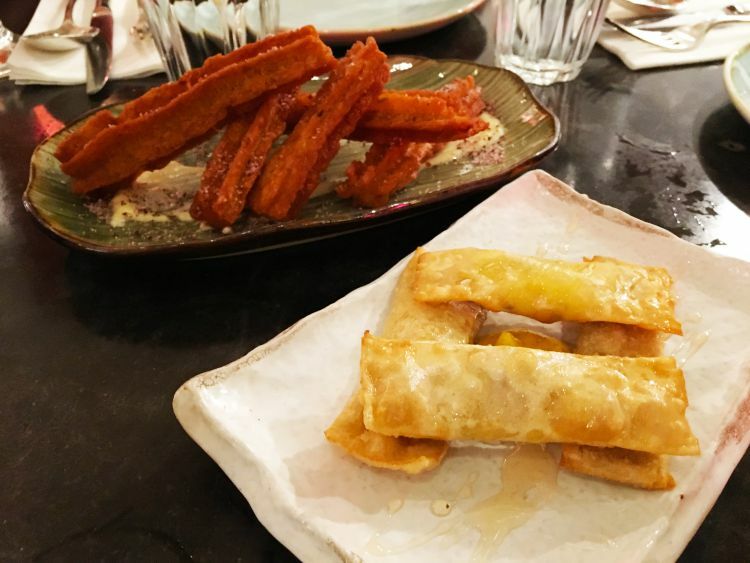 The crab and yuca churros were pretty tasty but some people on the table found them a bit too fishy. On the other hand, the cheddar tequeños were so tasty we wanted more. 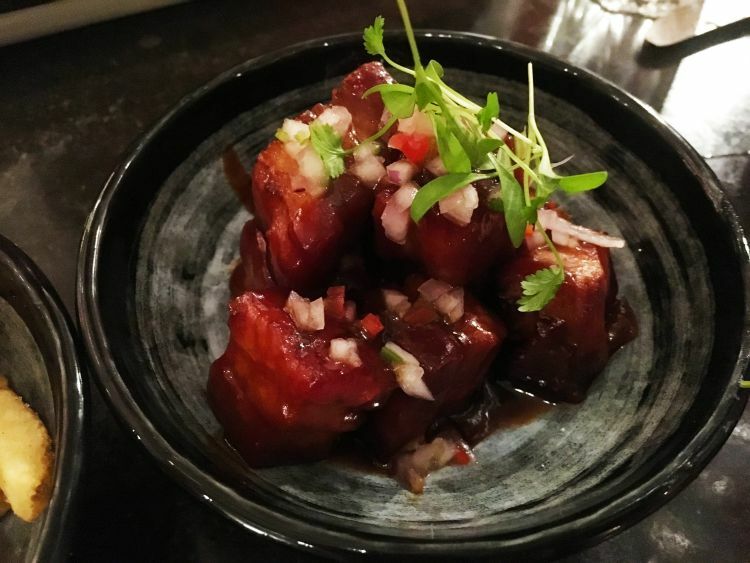 The pork belly chicharrónes were cooked well, very succulent, full of flavour – however we found the sauce was somewhat overpowering. Ian’s dishes of suckling lamb leg and the poached egg and avocado on sweet potato waffle arrived at the same time. The kitchen did make a fresh waffle for him once he had finished the main course. The lamb was soft and fell apart nicely, but we felt that it was a bit bland and lacking something. The sweet potato waffle was a bit stodgy and felt heavy in the stomach. 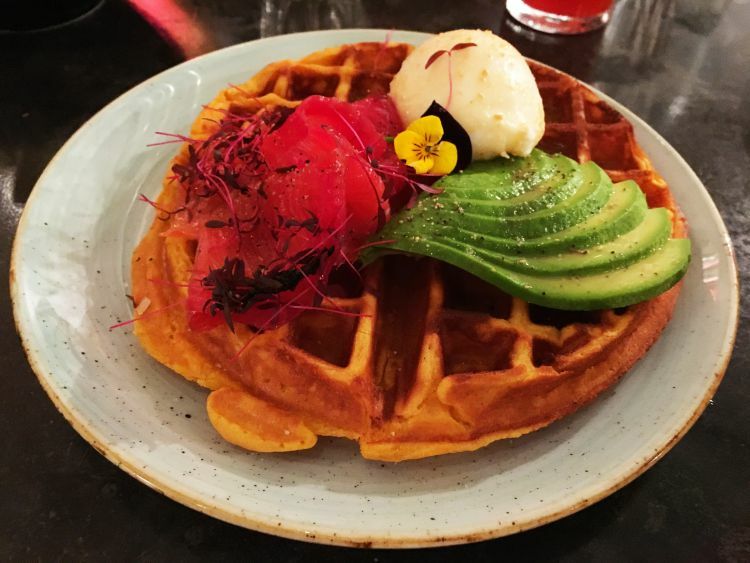 A strange combination of smoked salmon, egg and avocado on a waffle, which we both felt didn’t work. 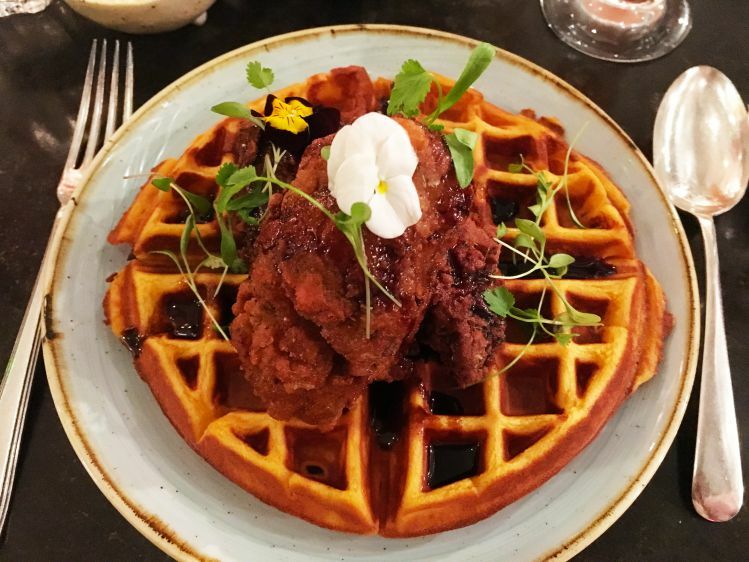 My sweet potato waffle with fried chicken, topped with edible flowers finally arrived and couldn’t wait to try this. Alas, this didn’t wow me at all – I agreed with Ian in finding the sweet potato waffle fairly heavy. The sauce which topped the fried chicken was a touch on the saltier side too. Such a shame as I had high hopes for this one. 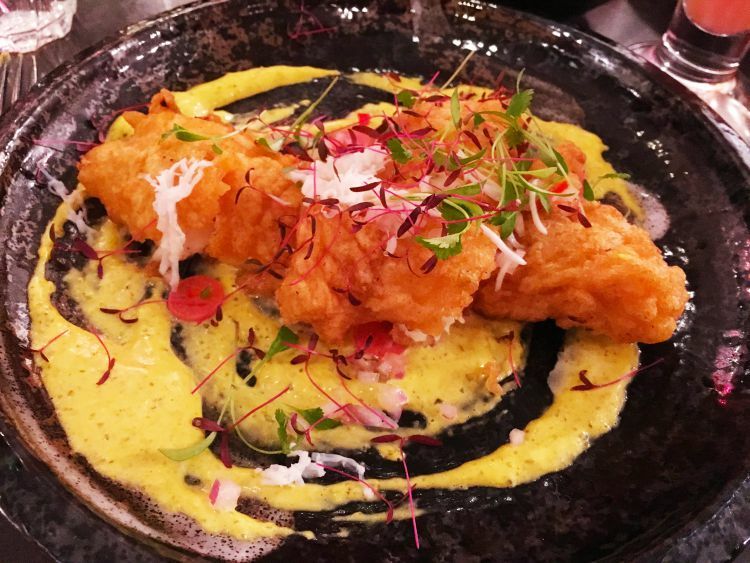 The tempura lemon sole was super delicious … the light, crispy batter coating encasing the fresh, soft flaked fish was cooked perfectly. A pretty and colourful plate of food indeed, beautifully garnished. 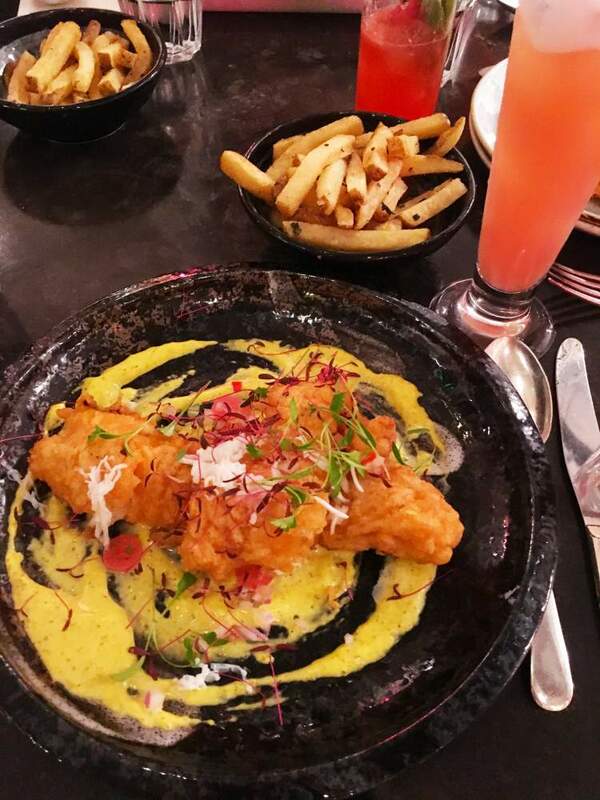 A posh version of fish n’chips! 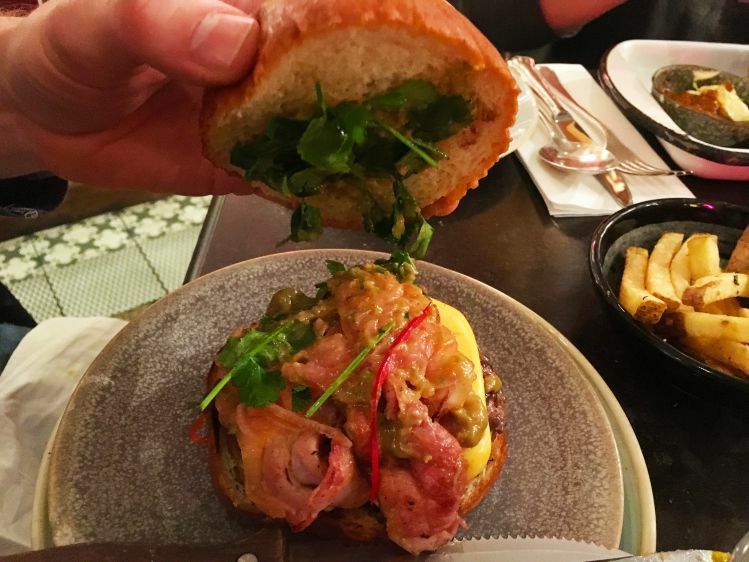 The juicy beef patty with pork belly chicharrón served in a soft bun was packed full of flavour and totally scrumptious. The quinoa waffle with the creamy and ever so delicious toasted quinoa and Peruvian chocolate ice cream, finished off with a sprinkling of cacao crumb was heavenly and not too sweet … this was the ultimate winner! After the first spoonful, we I wanted more. 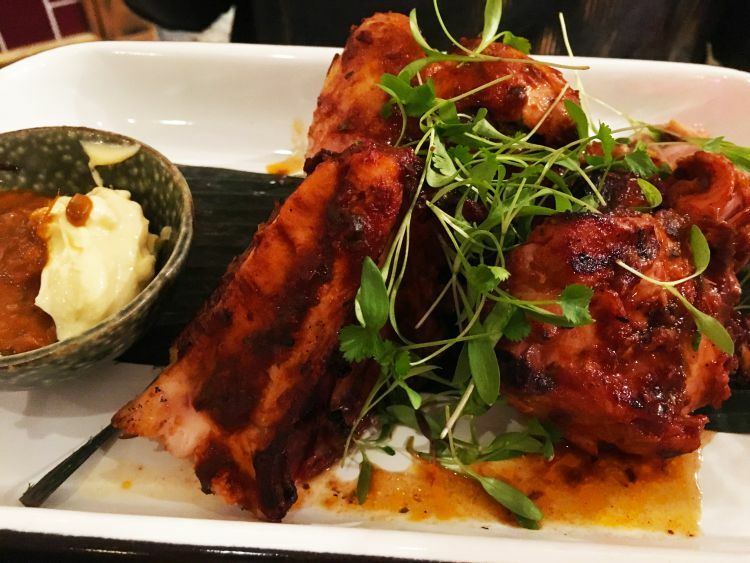 The succulent and moist chicken served with jerk sauce and ají amarillo mayonnaise was delish and a huge portion too. 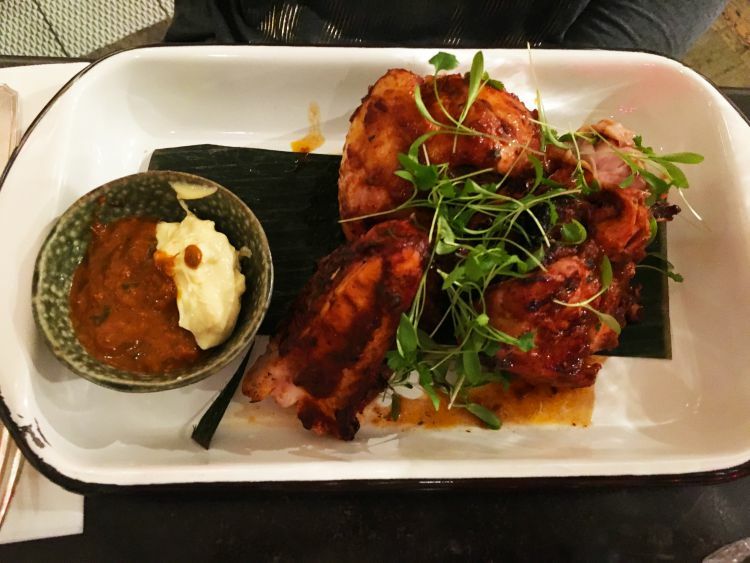 We loved the décor and the atmosphere of Pachamama, however we felt a few of the dishes were just average and/or a little flavourless or too salty. 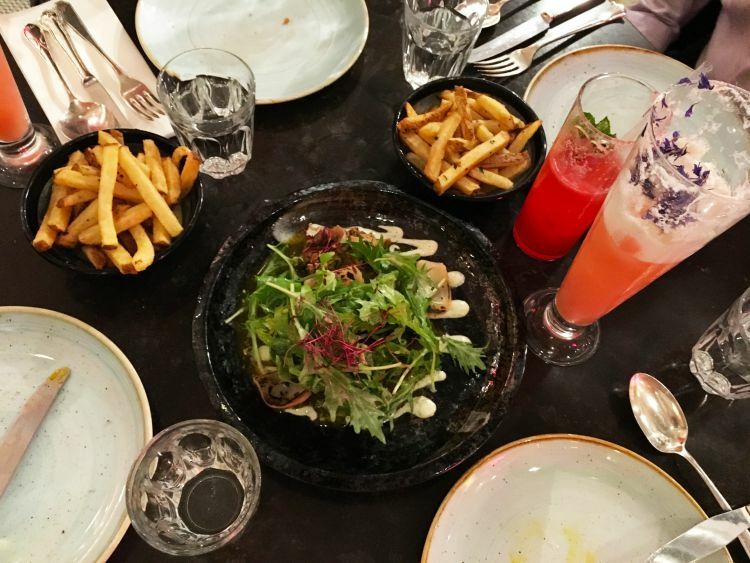 Also the fact that any of the food was served when it was ready was a major problem as at one point I was sitting there waiting for my main and everyone else on the table was tucking into theirs 🙁 We couldn’t fault the service – the staff were friendly, polite, very attentive and we didn’t feel rushed to leave after two hours. It’s a shame that the majority of the dishes didn’t wow us, considering the price for each dish. I’m afraid we won’t be making a return to Pachamama. Price: Based on four people, we paid £46 per person. 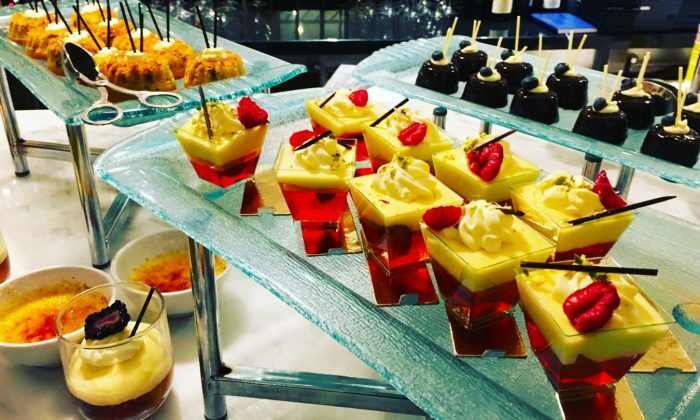 Have you tried a Peruvian brunch? 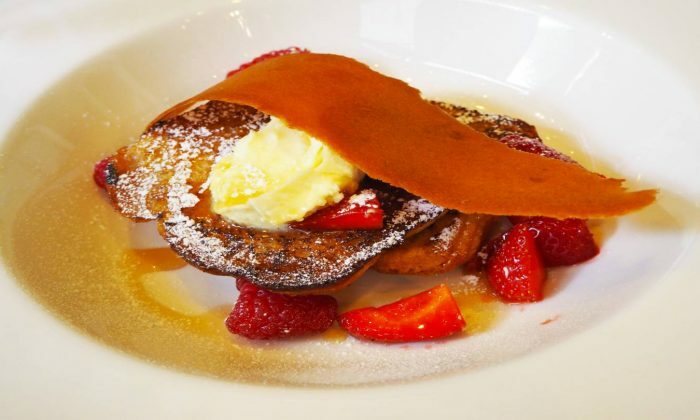 Where would you recommend in London for brunch? Would recommend Andina or Ceviche for Peruvian food actually. Good to hear I can miss this one! The food looks really delicious and I am hungry at the moment. The beautiful photos are starving me. 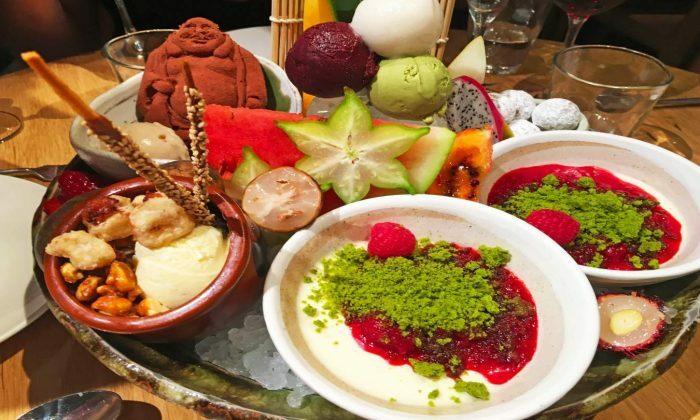 Oh, not a good post to read when you’re hungry – now I want to eat all of that! Your pics are beautiful, that food looks absolutely delicious!!! Really interesting… but made me hungry!! Great job on the info and photos! I am feeling hungry after reading your elaborate account! Haha! I loved Miraflores Mama cocktail and would love to indulge in the other dishes out there! I shall be visiting London in a few weeks and would definitely check this place out! WoW I am so hungry after seeing this delicious photos lol. I’ve not been to this restaurant but have heard loads of fabulous things about it. 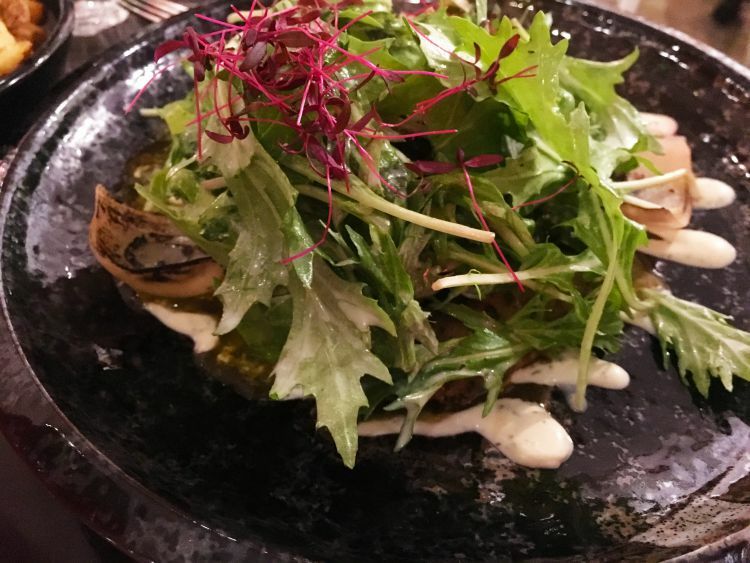 Thanks for sharing such a wonderful and yummy review. It looks like a fabulous spot. I will definitely have to visit when I come to the UK. The cocktails sound good as well and I know that I will enjoy them! 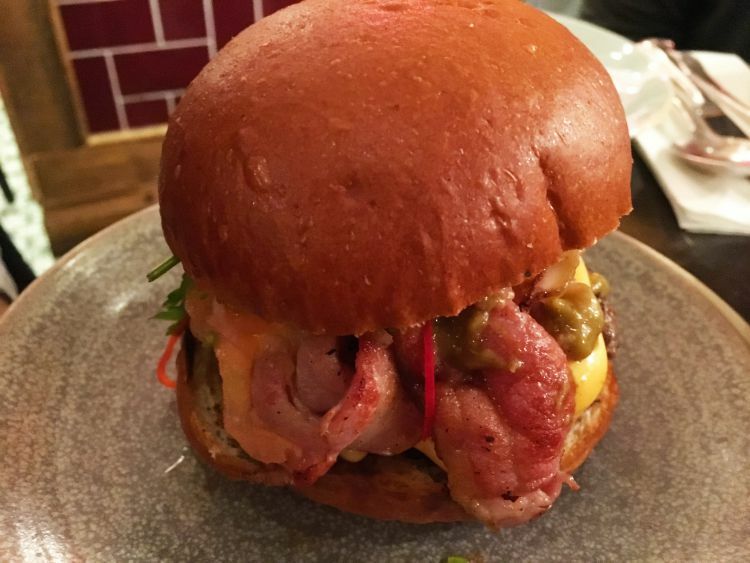 Love to read food posts.. quiet interesting one!! 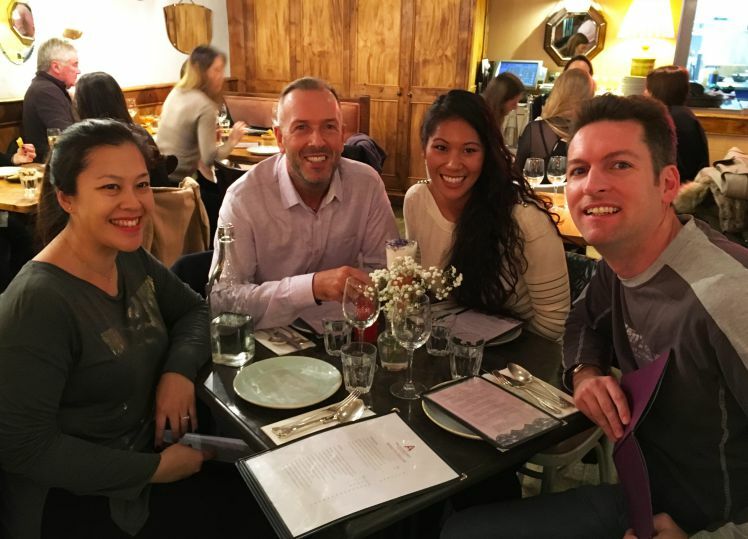 Love Peruvian food – I’m back in the big smoke in September, I’ll go and check this out! The food looks SO good! I really like that they have the gluten-free options. I am with you on the crowded space though. Would really like to eat there when I get to London. Food posts always make me hungry and yours is no exception. Great photos and if I ever get to London, I want to check it out. Thank you, great post.